My name is Max van Loon, 23 years old and I live in Prinsenbeek. At this point in time I’m doing my last period of the MSc Accountancy at Tilburg University. 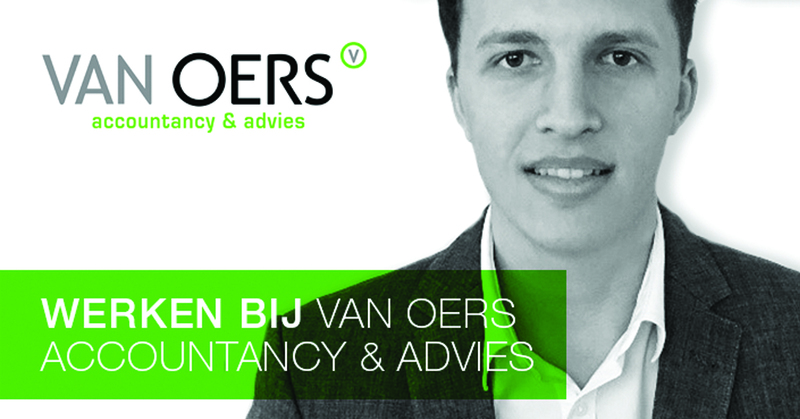 By now, I’ve been around Van Oers Accountancy & Advies, first as a working student and now as a thesis intern. 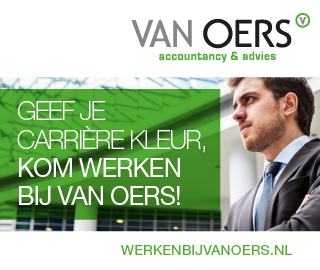 Van Oers is a large regional office with five offices in Western-Brabant, with about 325 employees and aimed at small and medium sized companies. Beside my study I enjoy drinking a beer with friends, playing soccer and going to the gym a few times a week. After having worked a couple of years at a supermarket, I was ready to do something new. I wanted a job that was more connected to my study. I knew that I wanted to study for a Master’s degree in Accountancy, which turned my focus towards accountancy offices quickly. I made the choice for a smaller office as opposed to a Big-4 office entirely intuitively, and it ended up being the right one. After an open solicitation for a working-student function, a recruiter of Van Oers approached me. After this, it all moved quickly. My first two weeks at Van Oers were very diverse. I started as a working-student for two days a week. The first week was themed around becoming more known around the organization, getting to know the different systems, programs and colleagues. The week after this I got to start doing my first assignments for a customer, which immediately gave me a good image of what my work entails. This was especially true because I also got to tag along at an appointment with said customer. WHAT DO I DO AT VAN OERS? When I was still employed as a working student at Van Oers my assignments were mainly things normally done by junior staff and staff. Think of checking the easier balance sheet entries and list checks. Momentarily I’m writing my thesis at Van Oers. For Van Oers I’m the first thesis-intern they ever took in. This internship gives me the opportunity to fully focus on my thesis whilst simultaneously getting to know my co-workers better. During my time as a working student, I worked for different customers. These customers were ranged between a mussel farm and a kitchen counter producer. The diversity of my portfolio made for a lot of variety in my tasks. The enjoyable thing about Van Oers’ customers is that they are generally smaller than the customers of big-4 offices. This makes for more personal contact with clients, which I have experienced as very pleasant. The first word that pops up when I’m asked to describe Van Oers is ‘warm’. From the moment I started working at Van Oers, I was taken in by my co-workers. I can direct my questions towards everybody in the organization and my colleagues really took time to help me along. Besides work at Van Oers there are additional activities like informal drinks and other events. From my own experience I can conclude that these additional activities can be super enjoyable! My ambitions momentarily are to finish my Master’s degree in Accountancy. After that, I will travel for two months before I start to working full-time at Van Oers. In September I want to start my post-master and build my career from there. If you are having trouble making a choice between big-4 offices there is only one solution and that is to visit a lot of events. If you are in doubt between a smaller office or a big-4 office, it is a clever move to visit events where both small and big companies are present. This way, you get a better feeling for the differences and from there you can make a more thoughtful decision. Do you want to know what it is like to work at a Big Four accounting firm? Read it in this Working At from PwC.